Like us on Facebook to enter our fantastic prize draw! First Prize: Four 30 minute sessions of Microdermabraison facial. Second Prize: If we get 1,000 likes on Facebook, you will be entered into a prize draw to win four sessions of Endermologie. 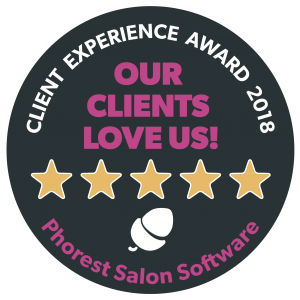 Prizes are not transferable, exchanged for cash/gifts or any other treatment, all sessions will be carried out by a fully trained therapist within our salon. All appointments must be made at reception, any missed appointments cannot be redeemed. We ask for 48 hours notice if your appointment needs to be changed or cancelled. Winner of Endermologie will need to purchase a body suit for £32. To be booked and redeemed by 4 months of winning date. Each session will be 45 minutes with treatment time of 35 minutes. the code below. This is case sensitive. Be it soothing massages, beautifying facials, rejuvenating body wraps or providing your everyday essential beauty care. Your hands & feet work the most for you so take some time for a rejuvenating manicure and pedicure. Everyday essentials can also be taken care of, such as tinting, waxing and electrolysis. Talk to us & be guided by our fully qualified therapist. All of our treatments are suitable for both men & women. Whether you are by yourself, with a friend, partner or group, we will look after you. At Radiance Clinic we recognised the need for quality products & treatments to get the best results for you & as such, we use Dermalogica, MD Formulation, Vitage, Fake bake and CACI in our facials and body treatments.